Not a problem! We package all NomNomNow deliveries with ice packs and insulated liners to ensure that it stays as fresh as possible until you get home and can put it in the fridge. As long as the food is chilled when you open the box, you're good to go (please note that it's normal for your ice pack to melt during transit, but the meal packs should be cool to the touch). 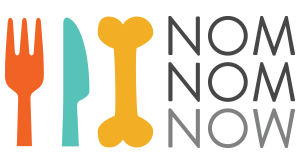 If you receive a delivery and the food isn't chilled, please email us as soon as possible at care@nomnomnow.com.